The Standing Together conference is a positive collective approach to developing & sustaining safe workplaces, ones in which employees, supervisors & managers are respected & valued. The conference will bring together a community of individuals, businesses, scholars, social service agencies, governments & not-for-profit sector to share and learn advances in understanding, preventing and managing workplace racism, discrimination, bullying and harassment. The one day conference will discuss the economic, social and societal damage caused by adverse workplace practices as well as examine the profound implications of global events on workplace norms and cultures in Alberta.The conference will give voice to those who have been affected. As importantly, the conference creates a well balanced, public forum in which participants and speakers build on existing initiatives and brainstorm strategies for positive, sustainable workplaces. Michael Gottheil is the newly appointed Chief of Commission and Tribunal of the Alberta Human Rights Commission, a role he assumed in August 2018. 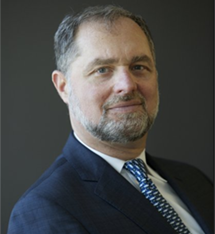 Mr. Gottheil brings many years of leadership experience in the Administrative Justice sector, having previously served as Chair of the Human Rights Tribunal of Ontario and Executive Chair of both the Environment and Land Tribunals Ontario and the Social Justice Tribunals Ontario. A graduate of Osgoode Hall Law School, he also practiced labour, employment and human rights law for close to 20 years. Mr. Gottheil is committed to fostering collaboration among those in the legal community and across civil society more broadly. Throughout his career, he has had the good fortune to work on initiatives that seek to make justice more accessible, efficient, effective, and responsive to the needs of the public. Title: Who’s Law, What Order? Exploring the Tension Between Experience and Justice. For some victims and survivors of sexual violence, the #MeToo and #TimesUp movements have provided solidarity and strength to speak up and demand justice. Yet, when justice is pursued through the legal system many feel betrayed. Traditional criminal law principles and presumptions can make victims feel they are the ones on trial. Inordinate delays and lack of resources can mean closure and healing are distant if not impossible outcomes. At the same time, those who work in communities hardest hit by gender-based violence, understand there are also structural roots to this on-going epidemic, and solutions may not mean greater rates of convictions and incarceration. What are the current barriers to justice for victims and survivors of sexual harassment and violence? What would a more responsive justice system look like? How might we imagine a justice system that responds to the rights of those who are victimized by specific acts of violence and communities that are impacted by the effects of poverty, marginalization and historic disadvantage? Jennifer Strachan was appointed to the position of Deputy Commissioner responsible for Specialized Policing Services in September 2018. With 30 years in policing, Jennifer spent 14 of those in a broad range of front-line policing roles in British Columbia. She has also worked in administrative duties at the Provincial and National level, in addition to completing a Peacekeeping Mission in Haiti in 1996. She also served as the desk officer responsible for peacekeeping deployments to the Former Yugoslavia. Jennifer was commissioned in 2002 to the role of Executive Officer to the Deputy Commissioner of Corporate Management & Comptrollership and since then some of her postings have included: Officer in Charge of the National Child Exploitation Coordination Centre; Detective Inspector in Charge of Montreal Drug Section; and, Officer in Charge of Operational Policy and Programs in Contract & Indigenous Policing at National Headquarters. Jennifer served as a District Commander, Criminal Operations Officer, and as the Commanding Officer in “O” Division, Ontario. Jennifer holds an Undergraduate degree from the University of Ottawa as well as a Master’s degree from Royal Roads University. 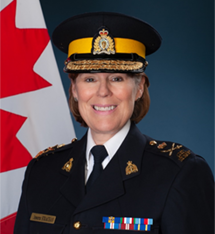 She is a graduate of the Canadian Police College Executive Development in Policing program and is an Alumni of the Leadership in Counter Terrorism Association. The Royal Canadian Mounted Police has struggled with workplace harassment, bullying and sexual misconduct for decades. Independent reviews, surveys and lawsuits have highlighted the negative impacts these problems have had on the organization and employees. But, change is happening. With a new Commissioner, and a new mandate to reform our culture, the RCMP is taking further steps to address harassment and to build safe, healthy, respectful workplaces for everyone. Taking into account recommendations from recent reviews and reports, we’re developing a plan to modernize how we take care of our people and the communities we serve. From setting up a centralized office for the co-ordination of harassment complaints, to developing a mental health strategy and action plan, to the creation an external Management Advisory Board — work is underway to modernize the RCMP from the inside out. Our central message is that real, meaningful change starts with putting our people first. By addressing harassment, updating governance and leadership structures and supporting greater diversity, we can continue delivering on our mandate: keeping Canadians safe from coast-to-coast-to-coast. I was born in Saskatoon and am a Saluteaux from the Yellowquill First Nation in Saskatchewan but have called Calgary my home since the age of 5. I attended Bow Valley College in 2007-2008 before I became employed with ATB Financial in Nov of 2009. I have been fortunate enough to be working for an amazing company who prides itself on having changed the entire facet of workplace culture. Being in the workforce since the age of 16, I have experienced first-hand, the devastating effects of racism & discrimination. Over the years, I have also seen dramatic changes in the workplace culture. I believe the future is looking bright for all Albertans in the workforce especially in an age where diversity and inclusion is being celebrated and encouraged more so than ever before. Join Rachel and Louis as they take you through ATB Financial’s inclusion and diversity journey. You will have the benefit of hearing the highlights from a 5 year journey of progress taking you from the lessons of ATB’s first ever inclusion and diversity campaign to present state where employee resource groups are thriving, courageous allyship has been adopted as one of ATB’s core values, an Indigenous strategy is well underway, gender parity if showing up in some meaningful ways and the organizational culture has shifted. Learn from their triumphs and pitfalls and where they’re headed next. 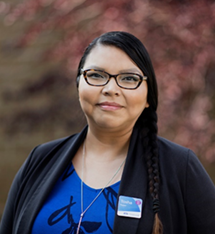 Rachel is the Director, External Equity & Inclusion at ATB Financial. Her work is focused on creating greater equity for customers by breaking down systemic obstacles in the financial service industry for under-heard and under-served Albertans. She has obtained several awards for her work in Inclusion and Diversity including a Gold Quill Award from the International Association of Business Communicators, a Distinction Award from the Advertising Club of Edmonton, and a Diversity & Inclusion Award from PR News. 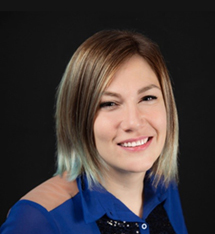 She has a BA in Communications and Culture from the University of Calgary and Master of Professional Communications from Royal Roads University. She has over 15 years of banking experience, 7 years of communications experience and 5 years of experience navigating inclusion and diversity. She continues to influence inclusion and diversity by Chairing Ellevate, ATB’s largest employee resource group focused on advancing women in the workplace. Rachel’s vision for the workplace of the future is one where employees feel an undeniable sense of empathy and belonging, employers are activating insights gained from diversity of thought, and customers are enjoying tangible solutions to their unique needs. 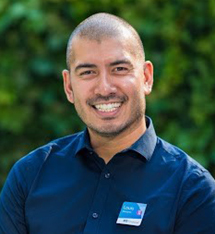 Louis is Lead Talent Strategist at ATB Financial. He is also the Chair of their LGBTA Network, an employee resource group for LGBTQ+ team members. Louis splits his time between Edmonton, his hometown, and Vancouver where he lives with his partner. He has a B.Comm in HR Management from Concordia University in Montreal and has worked in HR for 10+ years. 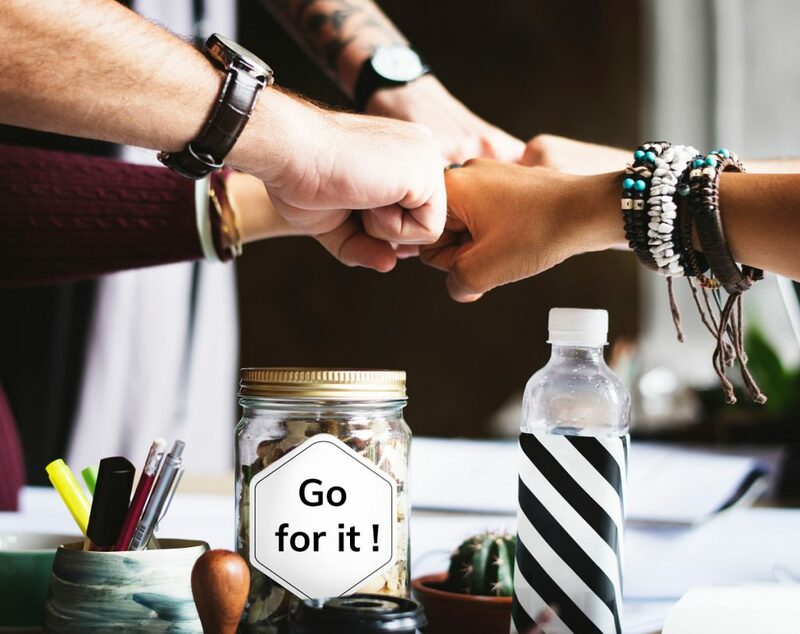 Louis believes that future success in our workplaces will depend on how well we cultivate courage. The courage to be our most authentic selves and create communities where we all belong. Inclusive communities ready and resilient to face an uncertain future. The University of Calgary is committed to providing a workplace that respects and promotes human rights, personal dignity, and health and safety. A respectful workplace values diversity and provides a healthy, safe and supportive work environment. It is a place where employees are appreciated; communication is polite and courteous; people are treated with respect; conflict is addressed in a positive and respectful manner; and disrespectful behavior, harassment, bullying, and discrimination are not tolerated. UCalgary’s foundational focus on respect was made an institutional priority in 2014/15 and continues to grow and develop. The executive leadership team is committed to continuously making our university even more inclusive, transparent, welcoming and respectful. Please join Devika Pandey and Jocelyn Spurr as they share how inclusion, diversity and respect continues to evolve and align across campus bringing faculty, staff and students together as one campus community. 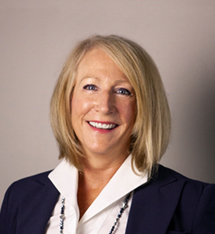 Jocelyn has over 27 years of business experience ranging from training and development, career development, administration, logistics management and international projects. She currently works with the Training and Development team in Human Resources. In additional to facilitating workshops for staff and managers Jocelyn is one of facilitators for the UCalgary Respect in the Workplace program. Jocelyn is an Accredited Facilitator for Insights Discovery; Trained Facilitator for The Leadership Challenge and certificates in Emerging Leaders, General Management, Workplace Learning and Public Relations. It is my belief that the Alberta workplace will continue to be volatile as we experience ups and downs in our economy. With the current instability, I advise employees to approach these challenges with a spirit of continuous professional and personal development while exploring self-awareness and personal accountability. Devika is the Program Coordinator for a Digital Skills for Youth, at Career Services University of Calgary. Her previous experience included recruitment, admissions and Career Advising. Devika is an active proponent of the Diversity and Inclusion initiatives for Career Services with the support of the Office of Diversity, Equity and Protected Disclosure – including but not limited to LGBTQ+ Career initiatives, Accessibility in the Workplace, Women in Work, and events focusing on student mental health. 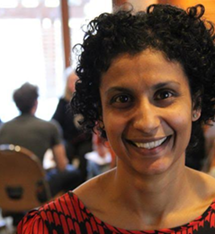 Devika is also part of the Calgary Diversity and Inclusion network (CDIN). 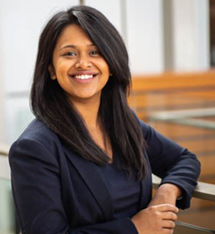 Devika is passionate about Diversity and Inclusion initiatives, eager to support marginalized groups and make a change towards equality and equity. Join Michelle Krom and Sarah Hernandez-Silva to learn about the exciting diversity and inclusion initiatives happening at WorleyParsons. WorleyParsons embraces the need for a culture of inclusion and respect and has introduced global D&I targets to add rigour to our policies and processes, creating a path toward behaviour change, leading to a culture of inclusion. They will walk you through the global D&I targets and the initiatives being undertaken to achieve the targets. Sarah will share the exciting events held over the years that are building a culture of respect and inclusivity, making WorleyParsons a great place to work. Michelle will share her experience working at a foreign-owned and operated firm where the majority of senior executives were from hierarchical countries and new to the North American workforce. She will share what this meant from a D&I and respect perspective and the impact it had on culture. Michelle has had a fulfilling and rewarding career in Human Resources, both as a consultant and working in the business. Her most recent roles as Director of HR for Petro China Canada and currently People Director Canada East/West at WorleyParsons have provided opportunities to embrace diverse cultures in the workplace. With different cultural backgrounds, opportunities to learn and understand why people behave the way they do, becomes important when implementing respectful workplaces. For some, even the word ‘harassment’ may not mean anything to them. Michelle believes that many of our behaviors have been engrained into us from childhood – how we were brought up, how discipline was handled by our parents can sometimes influence the way we behave as employees or leaders. Personalities don’t change, but behaviors can. For many of us we were taught at a young age, ‘treat others as you want to be treated’. In a world of cultural-diversity, this statement has a whole new meaning. Sarah Hernandez-Silva has over 10 years’ experience in Human Resources and has been working in the Diversity & Inclusion realm for the past eight. Sarah strongly believes that we all bring value to the table and that only by creating a culture of inclusivity inside and outside the workplace can everyone reach their true potential. 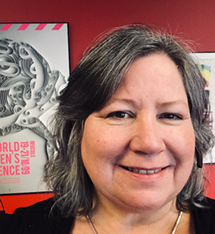 Sarah is Chair of the Diversity & Inclusion Committee at WorleyParsons and volunteers her time outside of work at various community programs that promote inclusion in the community. Sarah is currently a member of the Calgary Diversity and Inclusion Network (CDIN) and is on the Board for Pacekids Programs. Sarah’s hope is that we can get to a place as a society where workplaces, no matter what you do or where you are, are safe, inclusive, and respective of all the things that make us unique. Dr. Sandy Hershcovis is a Professor at the Haskayne School of Business, where she is currently the Associate Dean (Academic). She earned her BComm from the Haskayne School of Business, and her MSc and PhD at the Smith School of Business (Queen’s University). 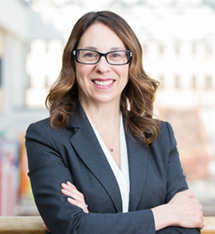 Dr. Hershcovis is known for her research on workplace harassment, including sexual harassment, workplace bullying, and abusive supervision. She conducted some of the earliest studies on bystander reactions to workplace harassment, and her work has generated a significant body of research on this topic. She has published her research in top journals, and recently co-authored an edited book on workplace harassment, published by Cambridge University Press. 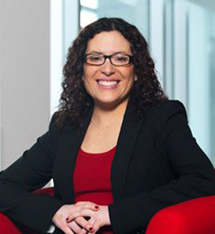 She has won multiple research awards for her work, most recently the Dean’s Research award at the Haskayne School of Business. Research on witness reactions to workplace harassment is growing. This workshop will provide a short overview of research on how witnesses typically react when they see workplace harassment, and the role of power in witness reactions. We will then have a group discussion on ways in which witnesses could react, drawing on the experiences of workshop participants. Under what circumstances is it a good idea to intervene? What might be some more (or less) effective intervention strategies? How can we facilitate constructive intervention? Witnesses or bystanders have important roles to play in preventing workplace bullying. Dr. Sandy Hershcovis has done extensive research in this area and will deliver a facilitated discussion on the topic. Psychological Health and Safety in the workplace is a key component of effective Diversity and Inclusion workplace strategies and a key feature of inclusive cultures. Psychological safety is both the protection from racism, bullying, harassment and the sense of belonging to a community where you matter and you belong. Psychological safety is tied directly to physical safety as well as employee productivity and engagement and has the potential for enormous costs to organizations. There are, as well, legal risks as psychological hazards are becoming important to safe workplace environments as physical risks. What do we need to fill psychologically safe and how can we move towards psychological wellness as part of our inclusion strategies? In this workshop, Dr. Lori Campbell will engage the audience in a discussion around the psychological wellness we all seek and need in the workplace, and how we can co-create conditions for belongingness, self-efficacy, and agency. Systemic discrimination and the workplace – In this session, we will discuss the nature of systemic discrimination and understand its impacts in the workplace. Using race and racism as an entry point into this discussion, Thulasy and Dolly will draw on their experiences in the nonprofit sector and in unionized environments, respectively, to share strategies to address systemic discrimination that can be applied in many different contexts. Thulasy is the Equity Framework Coordinator at CommunityWise Resource Centre. She is currently leading an Anti-Racist Organizational Change (AROC) process to strengthen CommunityWise’s capacity to address organizational racism and create greater racial equity, inclusion, and diversity. She also works as an independent consultant, a mother of two, and a part-time farmer, raising chickens on pasture with her partner in Black Diamond, AB. She has a BSc in Chemical Engineering and has worked in the field of community development for over 10 years. Thulasy’s vision for the workplace is one where individuals and organizations have skills and capacities to work through the emotional resistance we encounter when we talk about racism. Dolly has been a Regional Representative with the Public Service Alliance of Canada (PSAC) for 18 years and a Union Activist for 30 years. 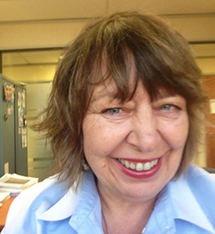 She actively works with Members conducting negotiations, delivering basic and advanced union education including committee training, local training, leadership training, employment equity training all with an anti-oppression lens. Dolly also provides day to day guidance and advise to stewards, local officers and Committees. 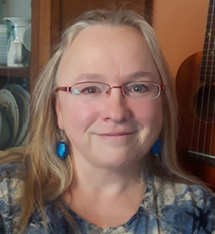 Dr. Hannah Scott is a Full Professor and founding faculty member of the University of Ontario Institute of Technology (UOIT) in the Faculty of Social Science and Humanities. She received her undergraduate degrees (Psychology and Sociology) from McMaster University in Hamilton, Ontario, a Master of Arts in Sociology from the University of Guelph in Ontario, and her doctorate in Sociology from University of Alberta. Prior to arriving at UOIT, she was an Assistant Professor at The University of Memphis. She was also the Founding Director of the Centre for Evaluation and Survey Research (CESR). She has played many roles within the UOIT Faculty Association, including founding Vice-President, President, and Grievance Officer. Her primary interests are in the area of victimology, vulnerable populations, gender, and homicide studies. Her current projects include workplace bullying, homelessness, and drug courts. Workplace bullying is more than harassment and can be identified and curtailed. Bullying in the workplace costs everyone. Using the Workplace Power-Control Wheel to examine more routine bullying practices at work. Workplace Bullying (WB) results in high costs to mental health and well-being. Targets of WB have reported a myriad of negative impacts including, but not limited to, anxiety, depression, PTSD, suicidal ideation, physical effects of stress, and loss of employment and income. Literature suggests that women may be more vulnerable to WB although, currently, the bulk of research in this area has come from female dominated disciplines such as nursing and social work. Bullies, like other abusers, use both overt and covert acts of abuse, therefore making bullies’ actions difficult to identify for complaint purposes. These negative exposures, in turn, can lead to decreased productivity, increased leave times, higher employee turnover, increased training costs, and other losses of revenue. This workshop will share the results of a field test of the Workplace Power-Control Wheel (WPCW) developed by Scott (2018) published in Workplace Health and Safety. This model was adapted from the Duluth Power-Control Model of Intimate Partner Violence and is designed to help victims of WB to name the daily practices of overt and covert WB. Early results of the online pilot test suggest that the WPCW is an effective tool in understanding everyday patterns of bullying behaviour. Ideally, the tool may help to minimize the time in identifying bullying patterns (from both employee and management perspectives) and thereby reduce longer term exposure to these negative experiences. Attendees at this workshop will learn about the WPCW and to use it, as well as learn more about general patterns of bullying in accordance with the survey which tested the model. Derrick would like to see more opportunities for employees to connect with each other in a healthy environment where they feel valued for their perspective, are safe to share their fears and vulnerabilities with people they can trust, and can develop a sense of meaningful purpose in the work they do, regardless of their position, rank, or compensation. Derrick would also like managers, team leads, supervisors, and directors to continue in their efforts to further develop their communication skills, reflect on the role they play in the outcomes they experience, and take a firm stand to not allow workplace gossip, bullying, intimidation, and discrimination, while at the same time promoting better workplace mental health. And if it’s not too much trouble, how about some free ice cream on Friday’s and a pony they can ride on weekends. The Lived Experience of Internalized Racism and Unconscious Bias.” This session explores the destructive impact of internalized racism and the inherent, unconscious bias that exists within all of us, including the strategies to acknowledge and overcome both. A former Commonwealth scholar, Dr. Cecille DePass, PhD, Associate Professor Emeritus, University of Calgary, has lived and worked in Calgary since 1977. She is best known for her strengths in community advocacy, social justice issues, and abilities to infuse the arts in her teaching, research and publications. 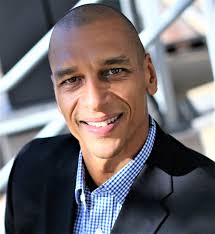 Dr. DePass has published a large number of conference papers, articles, and book chapters regarding critical multiculturalism, employment equity, and the life changes of immigrants and their families. Recently, Dr DePass has received recognition for her academic and community services. In Winter 2018 she received a Centennial Award from the Farquharson Institute of Public Affair, (FIPA), Kingston, Jamaica for distinguished services. In summer 2015, she was the recipient of the Comparative and International Education Society of Canada’s, (CIESC), David Wilson Award for lifetime services to the field. In 2009, she was a Finalist, Professional Category, Immigrants of Distinction Award, Calgary Immigrant Services. Dr DePass has served in leadership capacities with international and national academic and professional organizations such as former President of CIESC; Director of the Canadian Society for the Study of Education (CSSE); Past Chair/President of the Education Sectoral Commission for CC-UNESCO; Executive member of the World Council of Comparative Education Societies (WCCES), Associate Director, Cultural Diversity Institute, University of Calgary and Former Board Member and Program Chair, Arusha Centre, Calgary. 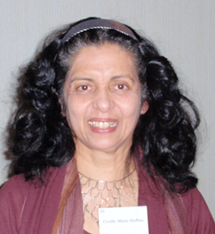 She has been affiliated with The Alberta Network for Immigrant Women (ANIW) for more than 20 years. In retirement, Cecille DePass is collaborating with colleagues to produce 3 books, edits an online, academic journal which she co-founded with Ali Abdi, UBC, and launching an academic journal with the Farquharson Institute of Public Affair. The inaugural issue is to be published in fall 2019. Sonia Aujla-Bhullar is currently a public school teacher in Calgary and holds an Eyes High Doctoral fellowship as a PhD candidate in the Werklund School of Education at the University of Calgary. 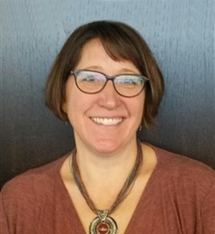 Her current work centers on exploring multiethnic and multicultural community engagement within schools as part of present-day inclusive education measures. As an educator she works with the diverse and growing population comprised of students, teachers, and families, both within and outside the school community. Furthermore, is an active member with the South Asian Police Advisory Committee for the Calgary Police Service. She aspires to continue her work in community development and develop her critical insights around multiculturalism and diversity practice in the community and public sphere through her academic and professional work.